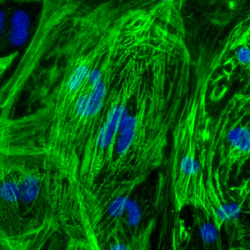 From Skin Cells to Beating Heart Cells Dermal fibroblasts (HDF) isolated from human skin, reprogrammed to pluripotent stem cells (HiPSC), then differentiated to cardiomyocytes (i-HCm). (a) In vitro-cultured i-HCm immunofluorescently stained for Alpha Actinin (b) Troponin, and nuclei counter-stained for DAPI. 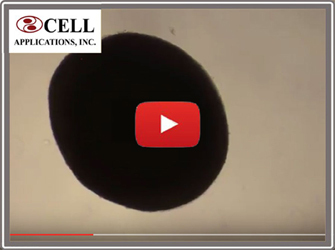 (c) Pulsating heart tissue spheroid (organoid) constructed with Cyfuse Regenova Bio 3D Printer, incorporating (left) neonatal or (right) adult i-HCm & primary cardiac cells. 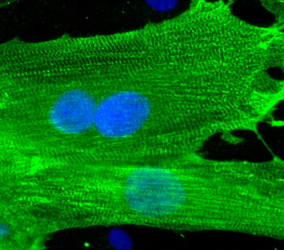 Printed i-HCm derived from adult iPSC exhibit strong beating at 72 pulses per minute while neonatal i-HCm demonstrate weaker, faster beat rate. 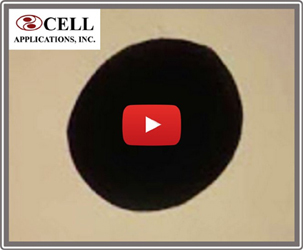 (d): Monolayer-cultured i-HCm beat spontaneously in rhythm. 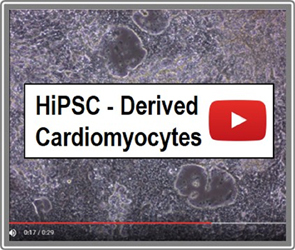 Medium carefully optimized for differentiating Human Induced Pluripotent Stem Cells into iPSC-Derived Cardiomyocytes and maintaining i-HCm. 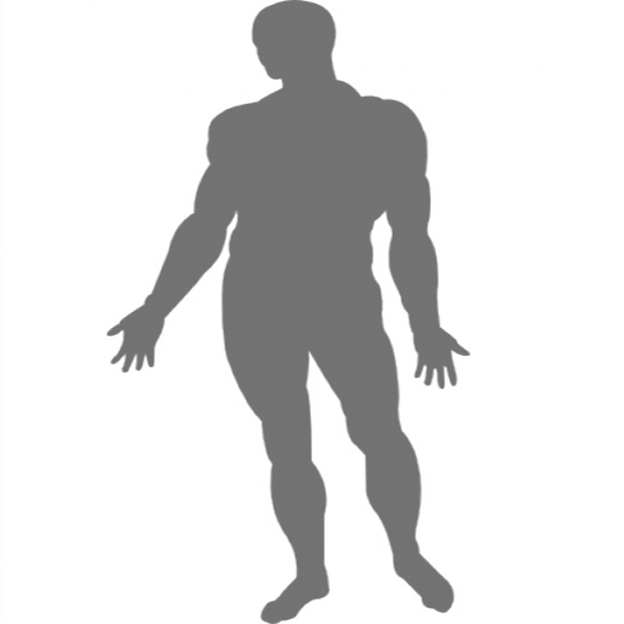 Attention to detail ensures ideal cell health, viability, performance, physiology, morphology, consistency and data. 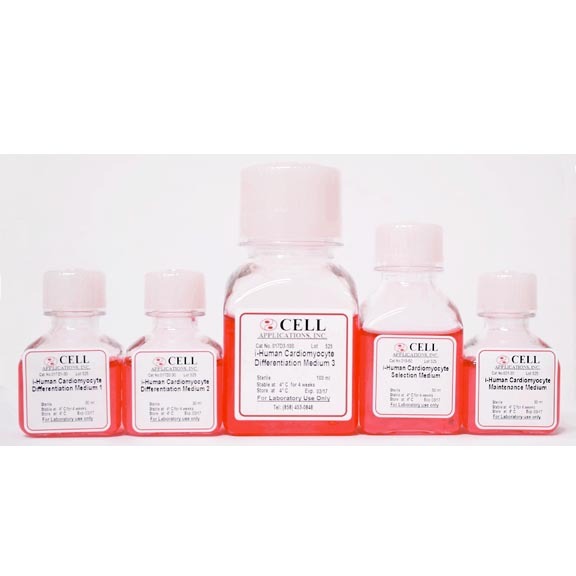 (Click to Enlarge) i-HCm Differentiation Medium Kit is used to derive Cardiomyocytes (i-HCm) from Human Induced Pluripotent Stem Cells. Store all kit components at 4°C. Stable for 4 weeks at 4ºC.